Finally! Some advice that will save you time. 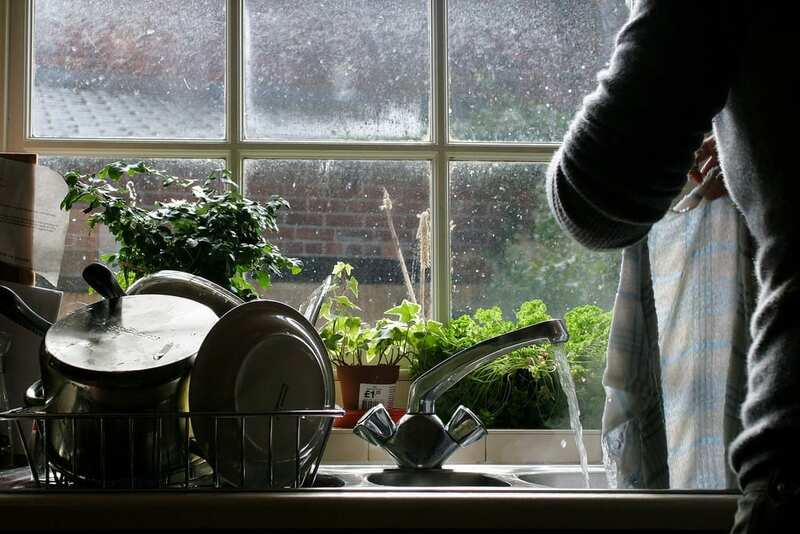 It’s no lie that the kitchen can quickly become a battleground when it comes to cleaning. Cooking for one person alone creates a lot of dishes – we can’t imagine the upkeep when it comes to cooking for a whole family. It often seems as though as soon as you’ve washed one pot or pan you have to wash something else. This is especially true when it comes to things like coffee makers, blenders, coffee grinders, and other appliances that can be hard to clean. That’s why we’ve brought you five kitchen cleaning tips to make your life easier! Garbage disposals are notorious for starting to stink after a while. If the trash becomes a bit too aromatic for your liking, you may want to consider giving it a deep clean. Mix water and vinegar together and place the mixture in an ice tray. Once it freezes, grind the ice cubes in the garbage disposal. Blenders are another small appliance that are often a hassle to clean. In order to make sure it stays as clean – and as easy to clean – as possible, you should take your blender directly to the sink after each use. Add a little water into it along with a drop or two of dish soap. Turn the blender on for 20 seconds. Once it’s done, rinse it out and your blender should be sparkling with minimal effort! Coffee pots can develop a brown stain on the bottom if they’re left in the coffeemaker while it’s still on for extended periods of time. In order to get rid of this nasty stain, fill the coffee pot a quarter of the way up with ice. Then, cut up and squeeze lemon into it, add in 2 tablespoons of salt, mix it all together and allow it to sit for two minutes. Afterwards, simply rinse the coffee pot out. Just can’t have coffee without the coffee grinder, right? Once coffee is ground it can have a tendency to stick inside the grinder. Right after grinding some coffee beans. Add a small handful of white rice to the coffee grinder once you’re done use it. Run the rice through the coffee grinder for a few seconds to get it nice and clean. Also, don’t use your coffee grinder to grind up dry spices. The smell of the spices usually never get out. Cast iron is very tricky to clean. You can’t really use liquid soap or scrub the pan with anything abrasive. This is because it’s best to keep a cast iron well-oiled so it continues functioning as a nonstick cooking surface. One of the best ways to clean it is with salt and a paper towel. A soft dishcloth does the trick as well. We hope these cleaning tips help to keep your kitchen sparkling clean with little to no effort! We know how hard it can be to clean some of these items and, hopefully, these tips will make your life a little easier.